Date: Jan 14 2019, 12 a.m. - Mar 1 2019, 11:59 p.m. Does your child have a passion to dance? 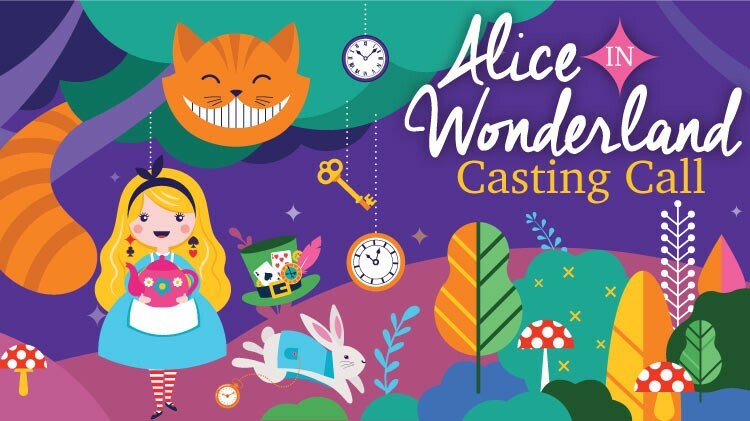 SKIESUnlimited is looking for cast members ages 6 to 18 years old for their spring dance recital "Alice in Wonderland" on June 1st, 2019. All dancers MUST BE REGISTERED in classes with SKIES by MARCH 1st to participate. Monthly fees for March, April and May. Additional $25 fee for recital costumes and a commitment to attend classes. All students must be registered with Child and Youth Services (CYS) before enrolling in any SKIES Program. To register for CYS, call 915-568-4374. Classes run on a monthly basis and you must re-register and pay monthly. Registration for SKIESUnlimited classes starts on the 20th of the month prior the class. Registration ends on the 7th of the month student will attend.